When everything seems to be falling apart, who do you turn to for direction and peace? Long ago, before I could even identify the definition of a prince or princess, my mother introduced to Disney. I was born during the Disney renaissance of Beauty and the Beast, The Little Mermaid, and Aladdin, so my love for the House of Mouse is justified; little did my mother know, though, that my adoration of all things Disney would also foster a fascination with royalty and fairy tales. My heart grew beyond measure when I read Rachel Hauck’s Once Upon a Prince; by the time I finished her latest book in the series, How to Catch a Prince, I felt I was just about ready to burst into song-and-dance for the joy this story brings forth. 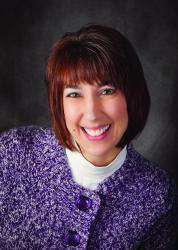 Hauck not only has created a series of fairy-tale romances come true, she has also given readers the chance to live out their own real-life fairy tale with Jesus Christ. American heiress Corina Del Rey lives a quiet life of work and small pleasures from her home in Melbourne, Florida. Born to a wealthy and loving family, she is trying to rebuild her life after tragically losing her twin brother to war. Stephen Stratton, prince of Brighton Kingdom and star rugby player, twice drastically changes Corina’s life: almost five years ago with a marriage proposal and shortly after with a declaration of dissolving that relationship. When he requests an annulment to their marriage, Corina realizes she has power in her hands to take back what has become an almost non-existence in her life. With the chance to alter the course of Brighton Kingdom’s history, Corina finally has the opportunity to learn what truly caused her brother’s death. Prince Stephen, still struggling to heal from his time in the Middle East, uses rugby as his escape from the trauma and death of war. Slowly, however, he finds only love from those around him—and from a forgiving God—can heal those wounds. When the truths of the past confront Stephen and Corina, they find that heavenly help will guide them to love and trust well. How to Catch a Prince is a rich treat of romantic relationships, strong characters, and faith-filled themes that will draw readers directly into Hauck’s novel as well as their own relationship with Christ. Love well, the theme of How to Catch a Prince, brings to light what it means for people to love others in every possible aspect. Through the various primary and secondary characters of her novel, Hauck questions the meaning of “love” in all its forms: parental, sibling, romantic, friendship, faith, to country, and to master. While How to Catch a Prince is primarily a romance, this novel is so much more than just a story of a passionate love affair. Corina and Stephen’s relationship certainly has passion—both physically and emotionally, which Hauck handles beautifully in both cases—but the overriding theme to love well resides within every relationship in the story. Hauck’s attention to this detail drives her passion for to share God’s love within each page of How to Catch a Prince. A modern-day fairy tale filled with romance, loyalty, and passion, How to Catch a Prince is a highly recommended novel for readers who dream of castles, ball gowns, and finding their one-true-love—while wearing a glass slipper or their favorite Converse sneakers. 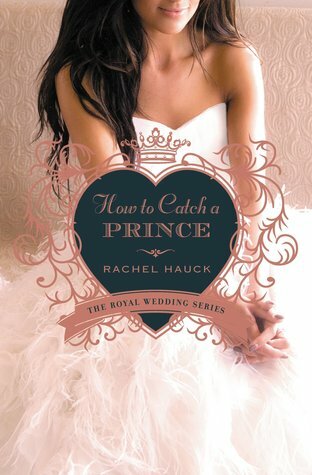 This is the third title in Hauck’s Royal Wedding series and can be read as a stand alone; however, all of the books in this series are wonderful and for the full effect of the story, I recommend reading the other two titles in the series before picking up How to Catch a Prince. Liz Tolsma joined the team of World War Two Christian fiction authors just a few years ago but already is marking a strong mark on readers who enjoy the genre for its heroism, romance, and call for justice. Remember the Lilies, Tolsma’s third novel in her Women of Courage series, encapsulates all the drama that brings this period alive: dangerous conditions, unjust actions, romance against all odds, and a dashing hero and beautiful heroine. Drawing on faith and history to bring this often overlooked period to life, Tolsma’s Remember the Lilies will surely capture readers’ hearts and minds through its unique storyline. Missionary Irene Reynolds desires nothing more than to continue her aunt’s good works by continuing to serve in the jungles of the Philippines. The invasion of the islands by the Japanese, however, threatens the stability of her missionary life—especially when she comes across a confidential note written by man whose wealth and power is dangerous in the wrong hands. Nightclub owner Rand Sterling works and plays hard…risky at any time but especially within the walls of a Japanese internment camp and faced with starvation, brutal disease, and harsh captors. Under the watchful eyes of strangers who will do anything to see their enemies perish, Rand and Irene face their faces and demons as they fight for themselves and their family to survive World War Two in the Pacific. World War Two is a subject rife with themes that are gritty and raw. I enjoy Tolsma’s books because she is not afraid to tackle these subjects—in Remember the Lilies, the plot-lines surrounding the theme of rebirth out of devastation. Rand and Irene, the two protagonists of Tolsma’s third novel, both struggle with past hurts and current harsh conditions. The author uses lilies, a flower common to the Philippines, to symbolize the rebirth of beauty even when situations are at their lowest point. Those reading into the spiritual themes of the novel will connect even more with Tolsma’s theme as she brings in Rand and Irene’s faith to their characters. Scenes of lilies growing out of bombed out gardens and being described from Scripture bring beauty to the page as Tolsma’s character learn to depend upon their faith during times of absolute desolution and depravity. Remember the Lilies easily reminds readers that problems encountered in modern times are often minimal compared to those trials faced by those during the Second World War. Remember the Lilies is novel well recommended for those who like historical fiction, especially set during World War Two. This book is Christian fiction, so readers looking for a strong faith element will find a clean story based upon the characters’ relationships with God. 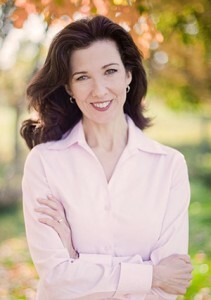 “New York Times” best-selling author Liz Tolsma is the author of Daisies are Forever, Snow on the Tulips, and the contributing author of “A Log Cabin Christmas.” When not busy putting words to paper, Liz enjoys reading, walking, working in her large perennial garden, kayaking, and camping. She lives in Wisconsin with her husband and children, all adopted internationally. Do you love World War II novels? 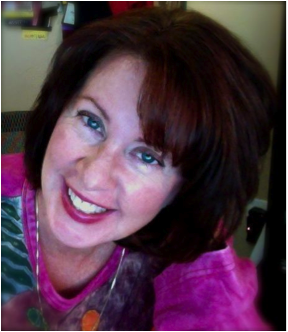 Want to chat with an author about her writing, her novels, and what she likes to do for fun? Then be sure to join Liz Tolsma, the LitFuse Hens, and other readers, reviewers, and bloggers for a Remember the Lilies Facebook party on Thursday February 19th from 7:00-8:15pm CST. Read below for the details and don’t forget to RSVP! Will Irene and Rand find common ground in their fight to survive WWII? Grab your copy of “Remember the Lilies” and join me here on the 19th for a fun author chat party at 8:00 PM EST (that’s 7:00 Central, 6:00 Mountain, & 5:00 Pacific)! Click JOIN to RSVP and then come back to this page on the 19th (I’ll send you a reminder!) and follow the link to the party page. During the party I will be hosting a book chat, playing a round of WWII trivia, answering your questions, and announcing the winner from the Kindle giveaway (enter here: LINK COMING SOON). Of course, there will be plenty of fun giveaways too: books, gift certificates, and more! I hope you can join the fun—and bring your friends! Just share the link to this page. I ALMOST FORGOT!! I will also be giving you a sneak peek of my next book. Excited about the party? Let your friends know via social media, and make sure to use the hashtag #RememberLilies. 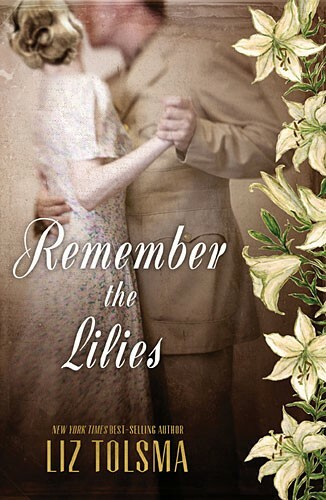 To see what others are saying about “Remember the Lilies,” visit the blog tour: (http://litfusegroup.com/author/ltolsma). Sometimes the dreams we hold for ourselves are different than the ones God intends for us. As challenges arise, dreams either must change to meet that test or crumble against adversaries. Faith in God and trust in those closest to you will determine if those dreams will remain or move forward. Author Elizabeth Camden has been on my “to-read” list for quite a while. Every time I mentioned her name to a reader or author friend, an excited response or squeal of delight answered my question of, “Have you read Elizabeth Camden?” or “What do you think of Elizabeth Camden’s books?”. I jumped at the chance to review Beyond All Dreams simply because it was chance to read a new author, but more so because the back cover of this book held some elements I knew I would enjoy. Beyond All Dreams surpassed my initial thoughts of what Camden’s novels would be like, and I am beyond happy with this first—but in no way last—book by this author. Anna O’Brien spends her days quietly researching and studying cartography as a map librarian for the Library of Congress. A shy and reserved young lady, Anna is happy with her position in Washington D.C. She uses her time at the library to remain connected with her father, a Navy cartographer whose death still leaves Anna unsettled many years after his passing. Luke Callahan, a representative from Maine, is the exact opposite of Anna—bold and flashy, he uses past hurts and broken dreams as a fire to surpass anything his family thinks he could never amount to. When tensions escalate both inside and outside of Congress, Anna and Luke work together to forge new ideas that could change their lives and the course of history. Not everyone inside America’s government wants these new ideas shared with world, and as the threat of war comes closer Anna and Luke find that new dreams are God’s gift of bringing you beyond anything you ever imagined. Beyond All Dreams stands out for many reasons, but among the myriad elements that grabbed me was the rich historical detail that Camden infused within every page of the novel. Set in Washington D.C. in the late 1800s, Beyond All Dreams includes big-picture details of the Mid-Atlantic setting, as well as smaller pieces that will bring readers directly into the story. Among my favorites of this aspect of Camden’s novel are her characters’ connections with the new inventions of the time period. From Anna’s fascination with flashlights, to Luke’s abhorrence to anything new, to Neville’s job in the Patent Office, Camden makes it easy for readers to understand the varying interest of our ancestors’ experience with technology. She also weaves in a time in history—not named in this review to avoid spoilers—that is seldom included in fiction novels but is so brilliantly used within the plot of Beyond All Dreams that I would consider reading another book set within this time period. I loved learning about a time period I knew little about and appreciate Camden branching out in her fiction so that I can take a trip into the past differently than I would normally would choose. Anna and Luke’s romance is filled with tension, desire, love, and laughter. I thoroughly enjoyed watching the relationship between these two develop. Anna and Luke have to work for their love, but because they so easily fit together despite their differences, the circumstances that test them help them grow as characters and as a couple instead of break them down. Camden uses these circumstances to show readers how God’s love is the romance that we must engage in before we find our better half, and that relationship is ultimately what allows Anna and Luke to come together. 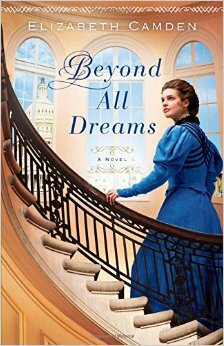 Beyond All Dreams is a historical romance rich with love, friendship, family drama, political tension, and details that bring the past to life. This novel will keep readers hooked from the first to the last page. More than just historical facts or sweet romance alone, Camden balances both elements in Beyond All Dreams so that readers will want to focus on the details but can still enjoy Anna and Luke’s relationship with smiles on their faces. This novel is highly recommended for those who like history, romance, or any combination of the two. Like what you’ve read? Find an excerpt of Beyond All Dreams here!